University Press of Mississippi, 9781628460513, 240pp. Typically a photograph of a jazz musician has several formal prerequisites: black and white film, an urban setting in the mid-twentieth century, and a black man standing, playing, or sitting next to his instrument. That's the jazz archetype that photography created. Author K. Heather Pinson discovers how such a steadfast script developed visually and what this convention meant for the music. Album covers, magazines, books, documentaries, art photographs, posters, and various other visual extensions of popular culture formed the commonly held image of the jazz player. Through assimilation, there emerged a generalized composite of how mainstream jazz looked and sounded. Pinson evaluates representations of jazz musicians from 1945 to 1959, concentrating on the seminal role played by Herman Leonard. Leonard's photographic depictions of African American jazz musicians in New York not only created a visual template of a black musician of the 1950s, but also became the standard configuration of the music's neoclassical sound today. 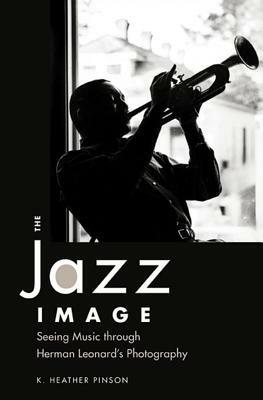 To discover how the image of the musician affected mainstream jazz, Pinson examines readings from critics, musicians, and educators, as well as interviews, musical scores, recordings, transcriptions, liner notes, and oral narratives.